The work on my bathroom renovation project has started. 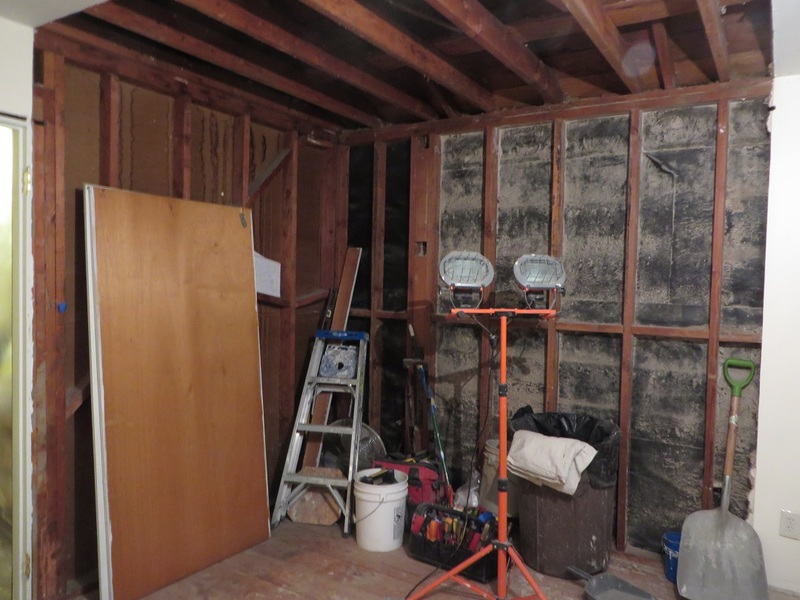 The old closet has been removed, and the area for the new bathroom has been gutted. The old bathroom has also been gutted to remake it into a closet. All of this demolition uncovered a few problems, such as dead animals in the walls (ew), bad pipes, and leaky walls. It will cost extra to fix such things, but it's better to get issues dealt with now while the walls are open. 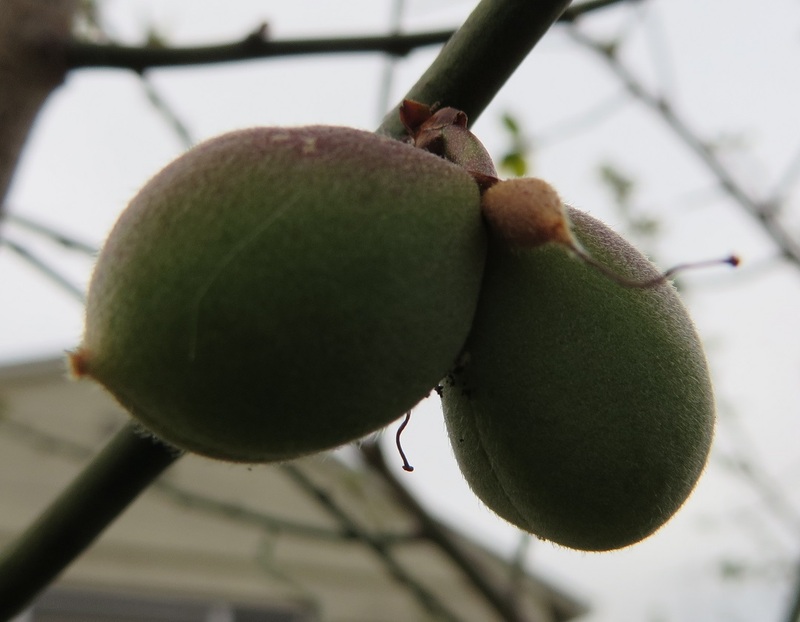 The exciting news out in the garden is that my ume tree is producing fruit for the first time. There's not a lot, and some may still drop off before ripening, but it's a promising start.